Readers are so much smarter than me. (Don't tell my boss.) Take Renee, who wrote in regarding last week's Hassle-Free PC, "Keep Your Wi-Fi Secure, Quick Windows Tips." In it I noted that Windows 7 doesn't allow you to pin folders to the Taskbar, and I explained how to set up a keyboard shortcut instead. Renee very kindly pointed out that there is indeed a way to pin folders to the taskbar. All you have to do is restore the Quick Launch toolbar, which Microsoft eliminated from Windows 7--or so it would seem. Once you work this bit of hackery, you not only get the Quick Launch toolbar back, but also the option of pinning all the folders you want. This process has been documented elsewhere, so I won't repeat it here. Instead, just head to Microsoft's Guided Help page for Enabling the Quick Launch bar in Windows 7. One note of advice, however: After Step 2, be sure to right-click somewhere in the taskbar, then clear the check mark next to "Lock taskbar." (In other words, you need to unlock the taskbar.) Otherwise Step 3 won't work. When you're done, you should have the Quick Launch toolbar back to its former home, right next to the Start button. Now, just drag any folder you want to the toolbar. Presto! You'll instantly get a shortcut to that folder. As Al notes, Gmail lets you select and delete only a screen’s worth of mail at a time. So how can you work past that? Can you bulk-delete Gmail messages? Open your Web browser, head to Gmail, and sign into your account. In the "Has the words" field, type before:2010/01/01. That's just an example date; it would delete all messages received prior to January 1 of last year. You can use any date you want, as long as it conforms to the format YYYY/MM/DD. Finally, click Create Filter. Depending on how many messages meet the filter criteria, the deletion process may take a minute or two. Make sure you really want to permanently delete all that email. Unless you’re approaching your storage limit, the smarter move is to archive it instead (see Step 5). That way it’ll still be available when your run searches, but won’t clutter up your inbox. Reader Monika is hoping for help with this hassle: "My virus scan program (McAfee) gets hung up on scanning zip files for hours, which slows my computer considerably, sometimes freezing up if I try to open/close other programs." 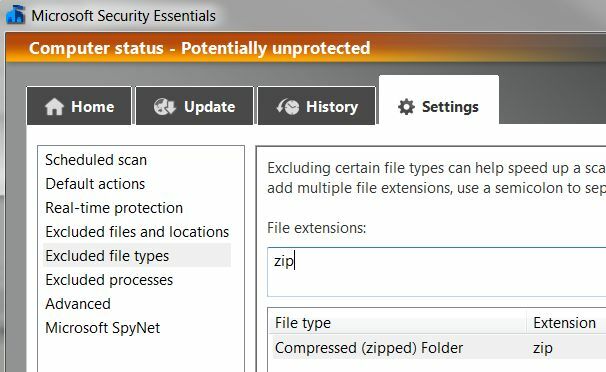 It's not uncommon for virus scanners to choke on Zip files, which can be quite large. As a result, system performance can take a major hit during the scanning process. That's just unacceptable. Now, Monika told me she already tried to "program [McAfee] to skip over these files, to no avail." Assuming you configured it properly, that leaves me with one conclusion: It's time to switch antivirus programs. Seriously, there are enough good products out there that there's no sense wasting any more time or energy on one that's causing you grief. Do a full uninstall of McAfee, reboot, then install something else. I'm partial to Microsoft Security Essentials, which just so happens to be free, but the latest version of Norton Internet Security (which you can also get free, if you don't mind mailing in a rebate form) has received great reviews. One other option I neglected to mention: You could get in touch with McAfee and ask for help. After all, that's one of the key advantages of paying for security software, right?